The Audi S4 model from the German premium car maker is all set to hit the India roads as the company announced the launch of the model for Indian customers today. 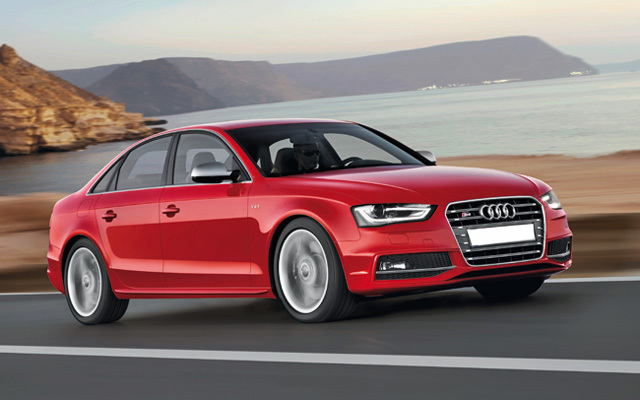 The new S4 model will be available in the country through the 19 Audi dealerships across India. The model is powered by a cool V6 3.0 TFSI engine and the car can attain a speed of 100 km/h from zero in just 5 seconds. Audi India sold 3,281 vehicles during January to May of 2012 compared to 2,394 vehicles sold during the same periods of the previous year, recording a growth of 37 per cent. The company sold 450 cars in May 2012, a 10 per cent growth over the same month of 2011. Audi is now looking to expand its dealership network from 19 t0 25 dealerships by the end of 2012. The company current offers models including Audi A4, Audi A6, and Audi A7 Sportback in the country.